1. Cheap flights Makassar - Pomala: start at US $ 34. 2. Cheap flights Makassar - Bau Bau: start at US $ 65. Looking for a cheap flight from Makassar to Kendari (UPG-KDI)? 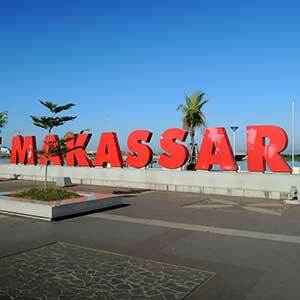 Flights fares for Makassar to Kendari start at US $ 40.00. Find the best and cheapest flights on this route and other relevant information. Before you book a flight you can use Utiket to find the cheapest flights from Makassar to Kendari for Garuda Indonesia, Lion Air, Batik Air, Wings Air, Citilink, Sriwijaya Air. All flight data are real-time and accurate. Utiket finds all the cheapest flights from Makassar to Kendari. On average the flight time between Makassar and Kendari is about 40 min. There is no time difference between these cities. The timezone for both cities is: UTC +08:00. The local time now: 22:01:10. There are 7 airlines flying from Makassar to Kendari. Weekly there are 71 flights between Makassar to Kendari. The earliest flight from Makassar to Kendari is at 09:25. The latest flight is at 18:55. The cheapest price for flight from Makassar Kendari is USD 40.00. Makassar Airport is a major hub for flights between west and east Indonesia and with over 5 million passengers a year it is one the busiest airports in Indonesia. From Makassar you can take a flight to almost every airport in the eastern part of the country as well as to major airports in Java and Kalimantan. Garuda and Airasia have flights from Makassar to a few international destinations like Singapore and Kuala Lumpur. 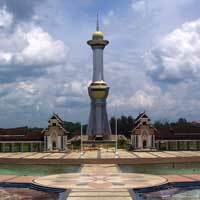 Find cheap flights to Makassar or read more about Sultan Hasanuddin International Airport. The Haluoleo Airport, previously named Wolter Monginsidi Airport, is an airport near Kendari in southeast Sulawesi. It has recently seen some major improvements including a runway extension and a new passenger terminal (opened in 2012). The plan is to use Kendari's Haluoleo Airport as a second transfer hub for flights to eastern Indonesia, to ease congestion at Makassar's Hasanuddin Airport. Find cheap flights to Kendari or read more about Haluoleo Airport. Which airlines have direct flights between Makassar - Kendari?